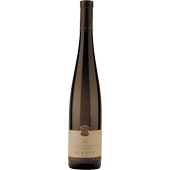 BLANCK.COM Nos vins dans les guides, presse. Nos distinctions. Dried lemon peel and hay flowers make for an inviting nose. On the palate, the vivid brightness of lemon brightens notes of tart apple and the merest touch of earth and stone. This is precise and pure, absolutely dry and magnificent. The freshness is incisive and invigorating. It's another one of those gloriously bright and unapologetically fresh 2014 Rieslings. Clearly a vintage for adults only. The finish is lip-smackingly clean and utterly moreish. Drink 2017–2037. Glowingly ripe apricot and pear notes make for an enticing nose. These notions become even fruitier and more honeyed on the palate where they shine with ripeness and generosity. Beautifully bright and zesty lemon freshness counters this and creates a dry lip-smacking finish that celebrates all that is ripe, rounded and generous about this lovely clean fruit. Plumpness and freshness strike an absolutely delicious balance. The finish is zesty and long. At five years of age, this has barely begun to develop. Drink 2017–2030. Tender notes of lemon and glorious freshness are first apparent on the shy nose but achieve their full expression on the slender, dry and incisive palate. The purity of the lemon zest notes tingles on the tongue and creates a streamlined, refreshing dynamic. This is clean and invigorating with its uncompromising bright freshness that lasts and lasts. This is lovely now but has huge promise. Drink 2017–2037. Lovely and pure notes of Conference pear hover above a concentrated taut body. This is dry and has a pleasantly bitter pithy edge that seems to draw out the precision of the fruit even more. The palate is streamlined, taut and energetic and the finish is long and impressive with a final flourish of pear and citrus. The heady scent of Damask rose rises from the glass. The peach on the rich, soft and mellow palate is bathed in rose scent too. Residual sweetness boosts the perfumed aspect of this wine, bringing lychee and peach into play as well. A lovely phenolic edge provides structure and fluidity on this textbook Gewurztraminer. The finish is off dry. Ripeness and generosity of pure pear flavors characterize nose and palate. 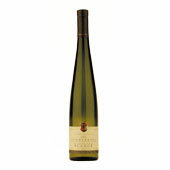 There is concentration on the palate and both juicy ripeness and zesty freshness, creating a lively fruit-driven wine. The finish is long and appetizing. An earthy element touches upon the lemon freshness on the nose and palate. The dry style lets the citrus freshness express itself fully. There is the tang of zest and the bright juiciness of lemon fruit. The palate is concentrated and taut, submerging any earthy tones to end in brisk, clean freshness. Ripe peach has a touch of jasmine and rose on the nose. The palate has a zesty, slightly bitter but enlivening freshness. The palate is generous but poised with a harmonious balance. This is off dry but subtle. Some yeast notes still play on the nose. 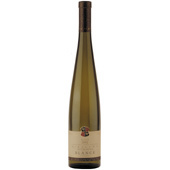 The palate has some zesty freshness that comprises lemon, grapefruit and tangerine. 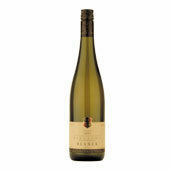 The palate is light and fresh; the body is light with a dry but lasting lemony finish. A lovely lemony lift jumps from the glass and immediately signals maturing Riesling. The palate is still taut with freshness but has the harmonious balminess of bottle age. Hints of dried pear and candied lemon peel appear. The palate is as precise and taut as ever, brightened by utter apple and citrus crispness. The finish is long, dry and utterly clean cut. Damask rose and honeysuckle on the nose almost have a cotton-candy tang to them. The palate is medium sweet and adds peach compote to the floral notes and a dollop of plump luscious sweetness. There is huge concentration and big aromatic intensity on the midpalate with a lovely bitter edge that lasts long. There is a medium-sweet finish. The nose is closed and gives a little lemon and chamomile lift. The palate is more expressive: concentrated lemon and mandarin zest play aromatically on a zesty, pure and very streamlined and dry palate. There is something incisive and intense about this. There also are glimpses of floral peachy edges that will only increase with age. This is ready now but has the stuffing to go the mileage: drink now through 2030. Mellow inviting aromas of baked apple make for an attractive nose. The palate adds tart lemon freshness to these lovely and rounded apple flavors and thus creates a lovely contrast. This is dry and fruit driven, lemony and sleek. Lovely notes of crisp apples make for a very friendly nose. The palate comes in with immense freshness that is nonetheless tempered by a balm-like rounded texture that couches Riesling's freshness in seamless fluidity. The palate remains dry and is colored with red and green apple, lemon and tangerine. The finish is dry and wonderfully lip smacking. Developed, creamy notes of pear have an aromatic edge of banana bread. The palate is equally creamy and rich with notions of vanilla, baked frangipani pear and vanilla spice, but lemony freshness at the core provides balance, direction and freshness. Flavors linger long. Gentle notes of Damask rose and honeysuckle shimmer teasingly above a balanced, just off-dry palate that features orange peel, juicy yellow peach and nectarine. This wine offers a charming but not overpowering and nicely balanced rendition of this grape. The softest hint of apricot can be discerned on the nose. The palate reinforces this flavor with more soft stone fruit and just a touch of off-dry sweetness. The result is a very expressive, gently but deeply fruited, slender palate that will sing with spicy Asian dishes or soft cheeses. It offers wonderfully lasting flavor. Peppery pear notes signal freshness and ease on a cushioned palate that is softer than you might expect. Taut and zesty, lip-smacking and dry: this Riesling is a successful combination of grapefruit and lemon, of zest and flesh. The dry finish makes the lemony qualities of this dry wine even more appealing. Serve this on a hot day. Yellow pear, Golden Delicious apple and a dollop of honey create a fruitful, inviting and friendly opening, countered by lemony freshness that keeps things on the right side of fruity opulence. Drink this wine while its aromas are at their height. Rounded rose and honey notes with inflections of apple and Mirabelle are cut very pleasingly by the citric freshness of tangerine peel. This is easy drinking, medium bodied and aromatic. The subtle scent of green and red apples makes for a refreshing opening. They also play on the rounded, clean palate and finish dry with a lovely, lemony briskness. Hugely spicy in character, this is a rich, now mature wine that is rounded, smooth and delicious. It shows how well Gewurztraminer can age, losing the tropical fruit character and developing intense pepper and spice flavors along with almonds. Drink now. This is one superrich wine, with some light toast character and already a touch of petrol. It has freshness and spice, plus intense acidity and elegance. This is the vineyard that Paul Blanck made its own, being almost single-handedly responsible for its classification as grand cru. 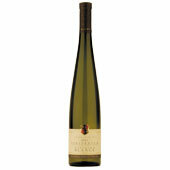 It certainly deserves the promotion, because the Rieslings are great wines, full of currants and mineral flavors. This wine has an intensity of flavor that comes from aging in large wood barrels. Cellar this for five years or more. 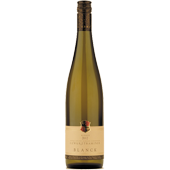 A perfumed mineral wine with delicious pure fruit, from the Riquewihr Rosenbourg vineyard. 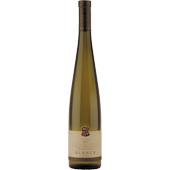 It has flavors of white and green fruits, which give it a vibrant feel. It also has some crisp acidity, along with intense currant flavors. A huge, intensely flavored wine, with some light sweetness which still manages to retain minerality and some good floral aromas. The power of this wine lies in the richness of the fruit, along with some good tannins and structure. 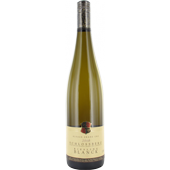 Situated in floor of the Kaysersberg valley, this vineyard produces great ripe Rieslings. The 2002 from the Blanck family is a deliciously rich wine, with exotic fruits, flavors of star fruit and green plums, along with fine aromatic spices. This will be a short-term wine: drink over the next five years.